Reunion 07 - Sennet's reunion crew tour a reconstruction of the Confederate submarine Hunley (Harding) (sr07h964). 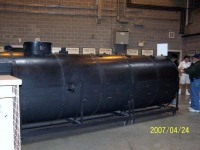 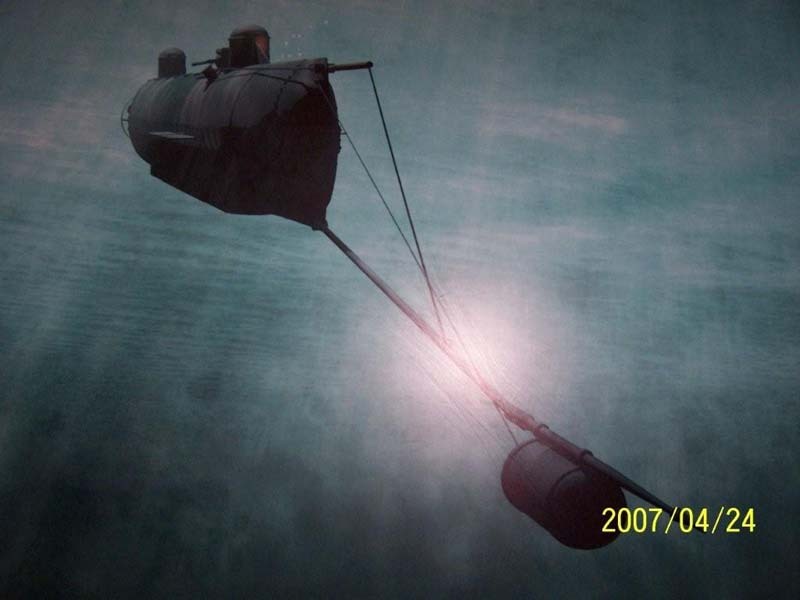 Reunion 07 - A reconstruction of the Confederate submarine Hunley (Harding) (sr07h965). 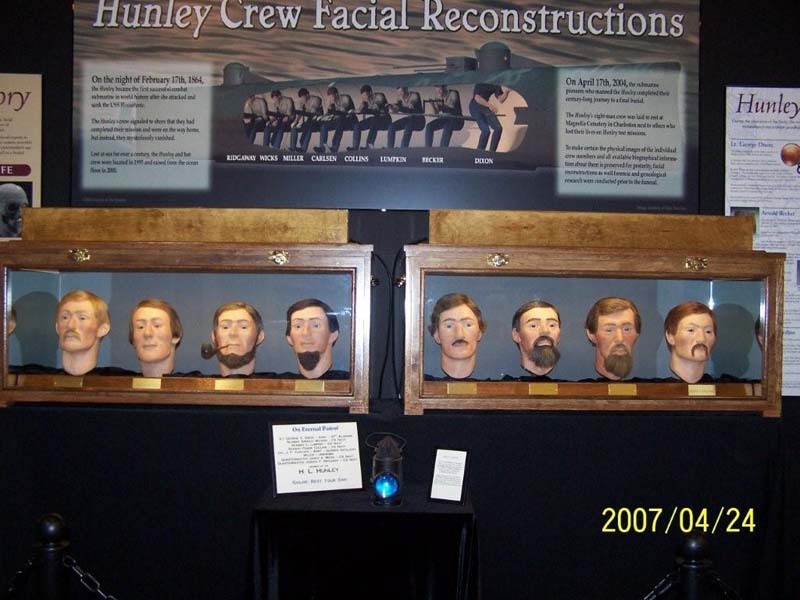 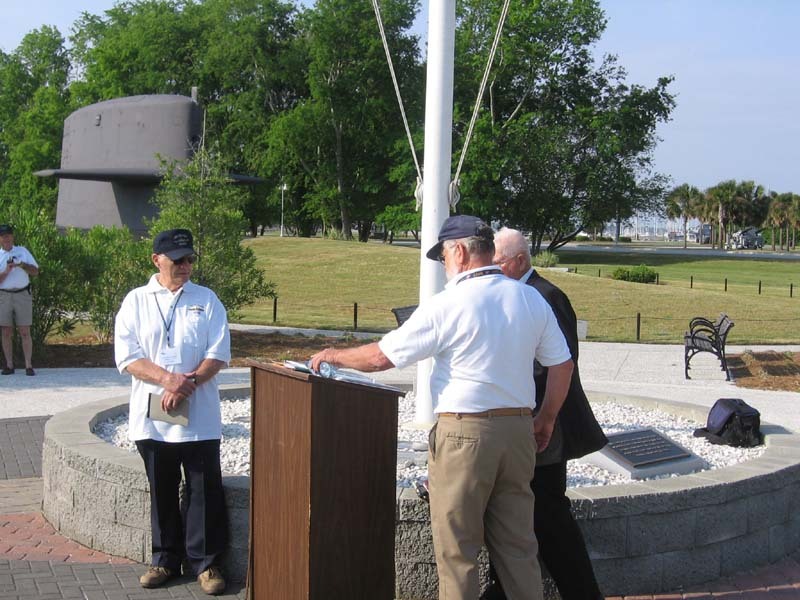 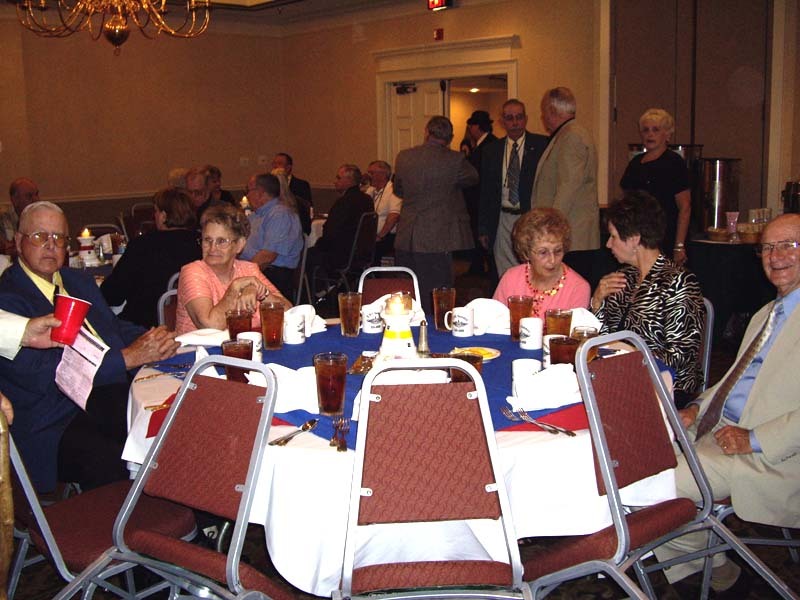 Reunion 07 - Faces of the crew of the Confederate submarine Hunley (Harding) (sr07h966). 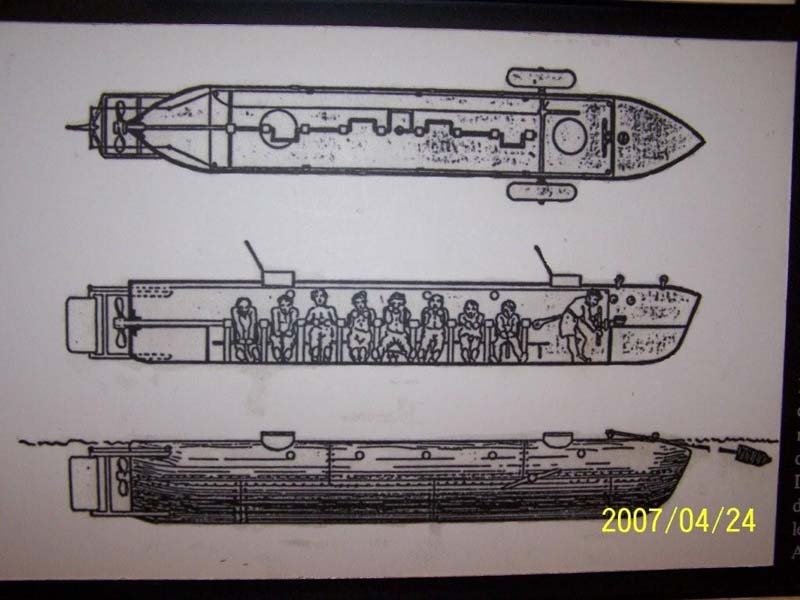 Reunion 07 - Blueprints of the Confederate submarine Hunley (Harding) (sr07h967). 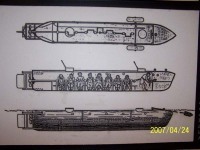 Reunion 07 - The Confederate submarine Hunley underway (Harding) (sr07h968). 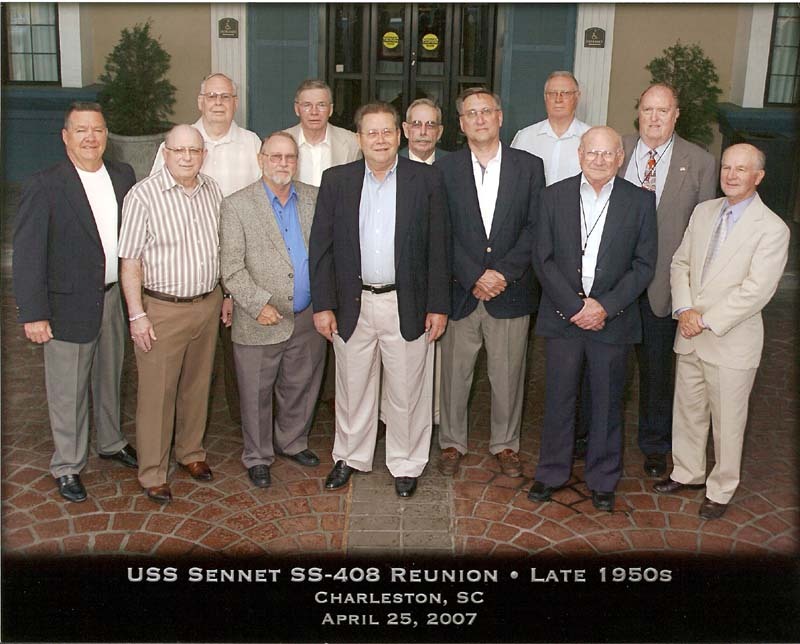 April 2007 - SENNET's late 50's crew at the 2007 Reunion (Pollard) (sr07p915). Reunion 2007 - Getting ready for the banquet (Pollard) (sr07p928). 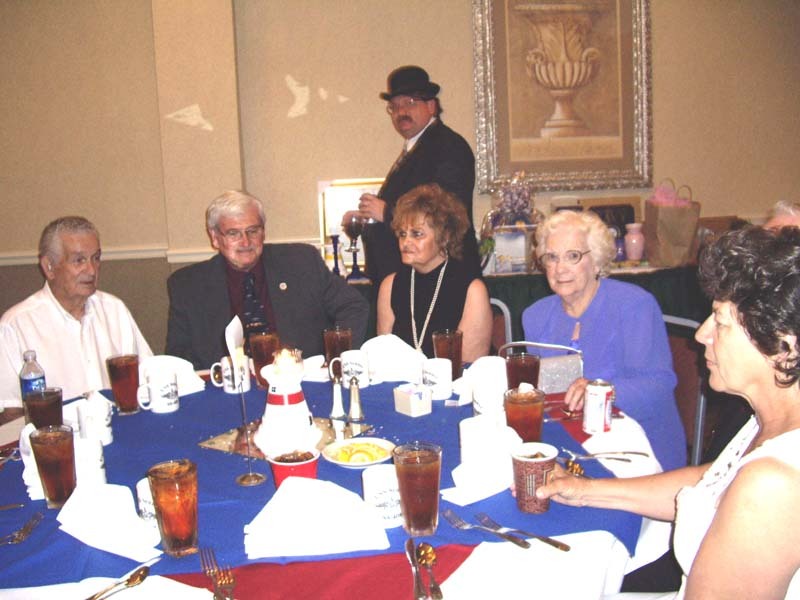 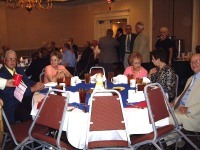 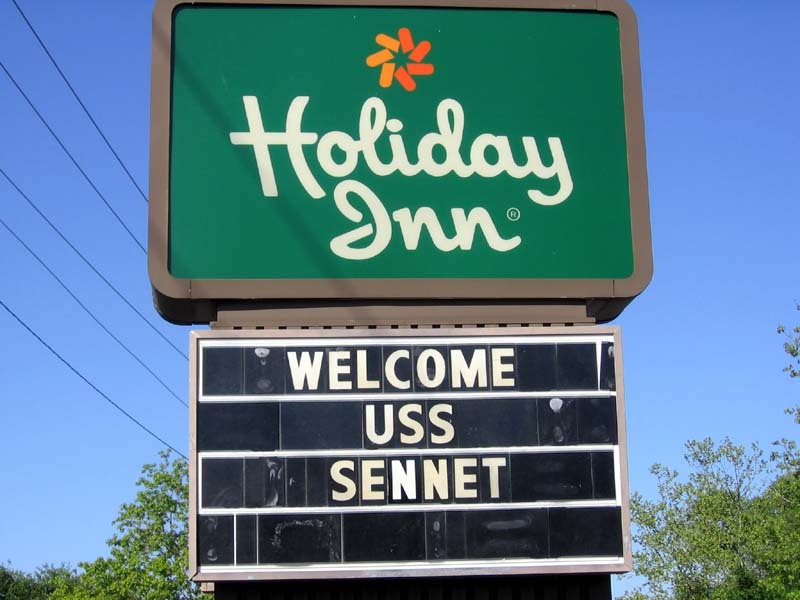 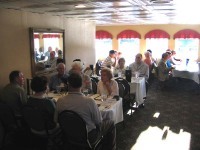 Reunion 2007 - The SENNET Banquet (Pollard) (sr07p931). 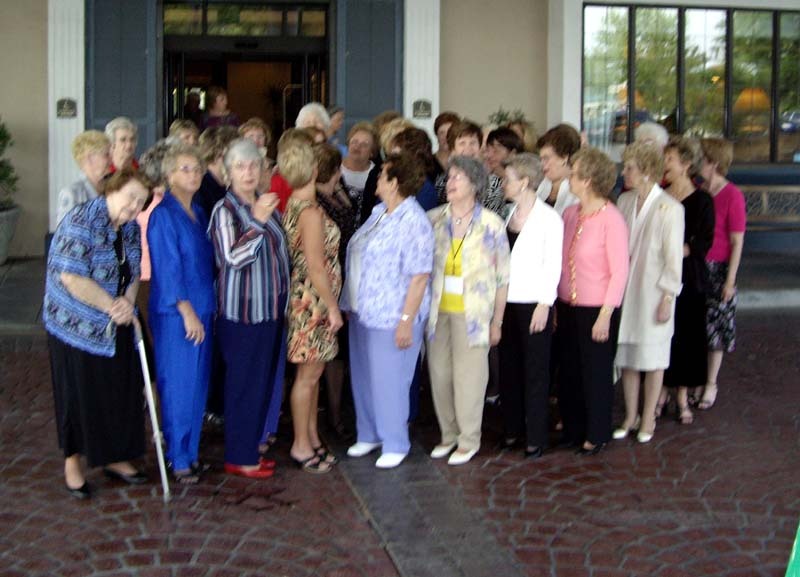 Reunion 2007 - The ladies get their pictures taken (Pollard) (sr07p934). 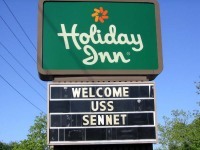 Reunion 2007 - Holiday Inn's welcome sign (Vernon) (sr07v918). 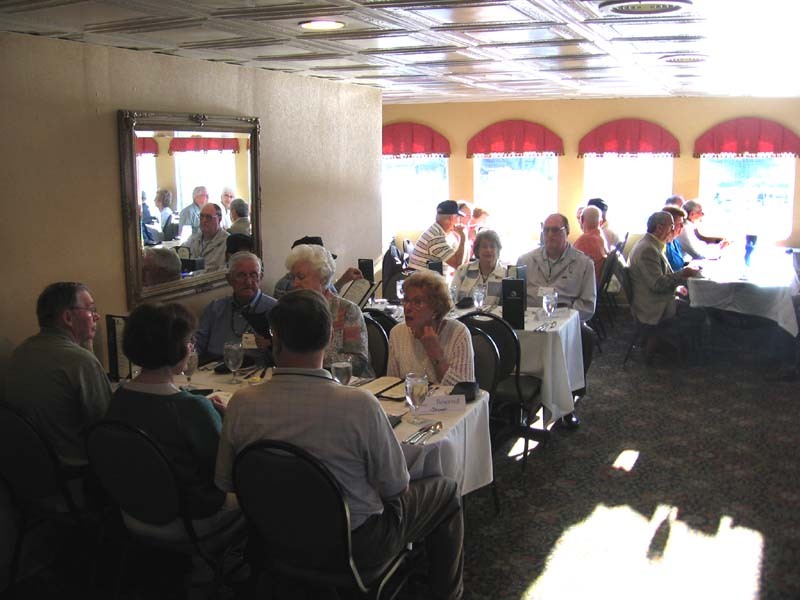 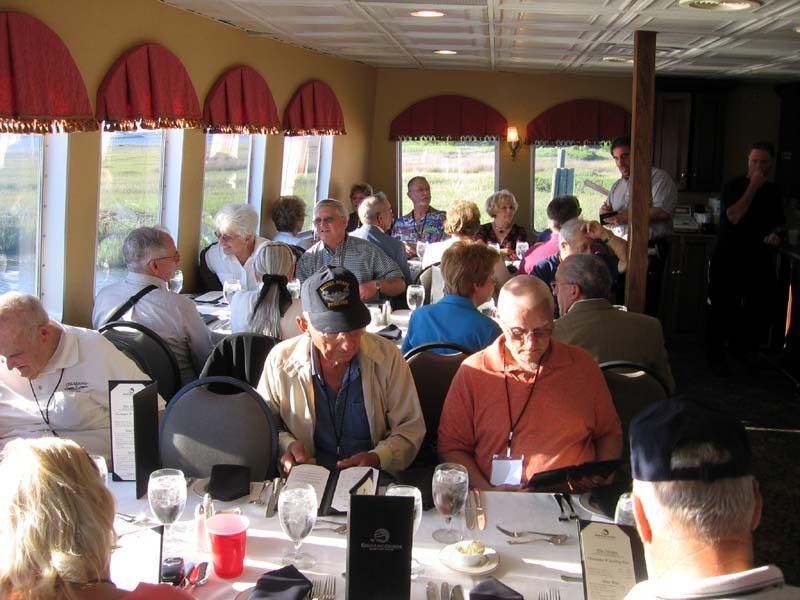 Reunion 2007 - The Charleston Harbor dinner cruise (Vernon) (sr07v921). 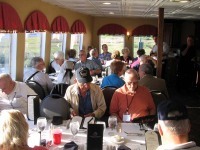 Reunion 2007 - The Charleston Harbor dinner cruise (Vernon) (sr07v924). 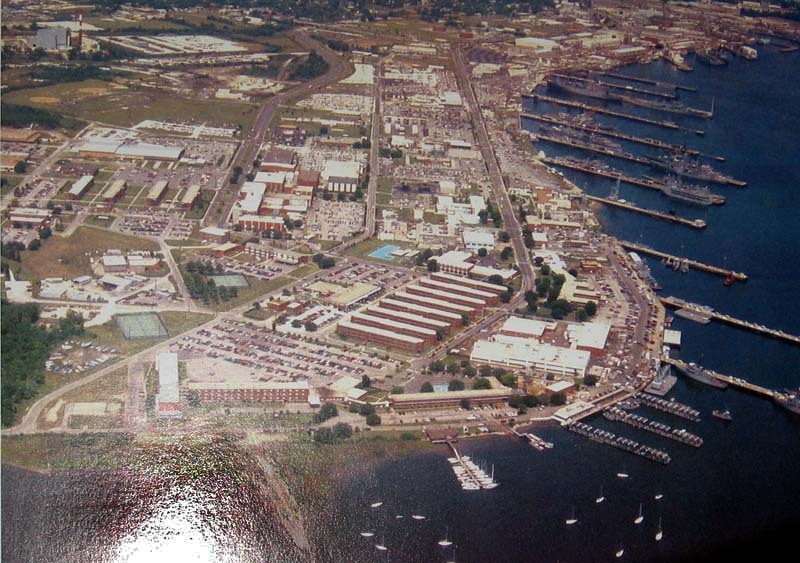 Reunion 2007 - An aerial photograph taken sometime in the 60's of the Charleston Naval Base (Vernon) (sr07v937). Reunion 2007 - "Panama Jack" Stevenson and Ralph Luther (Vernon) (sr07v940). 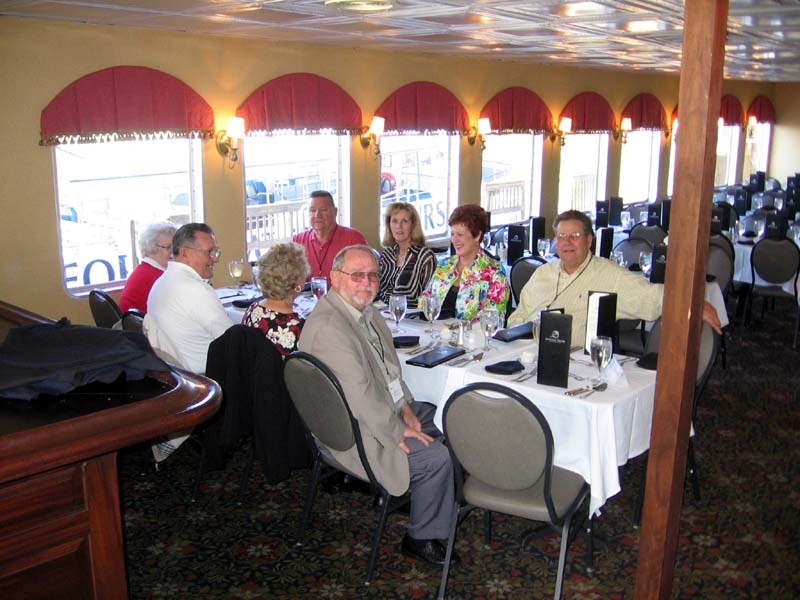 Reunion 2007 - Charleston Harbor dinner cruise (Vernon) (sr07v943). 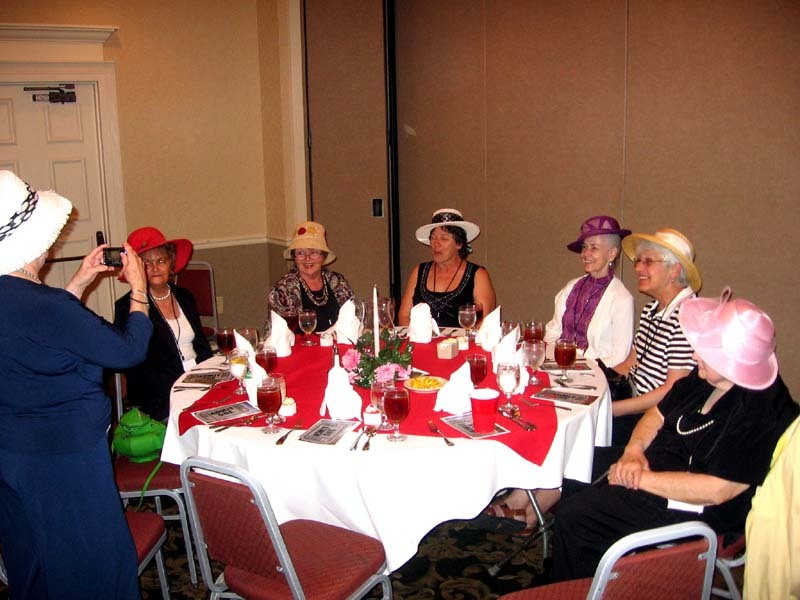 Reunion 2007 - Ladies' Luncheon (Vernon) (sr07v946). 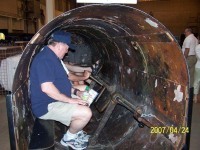 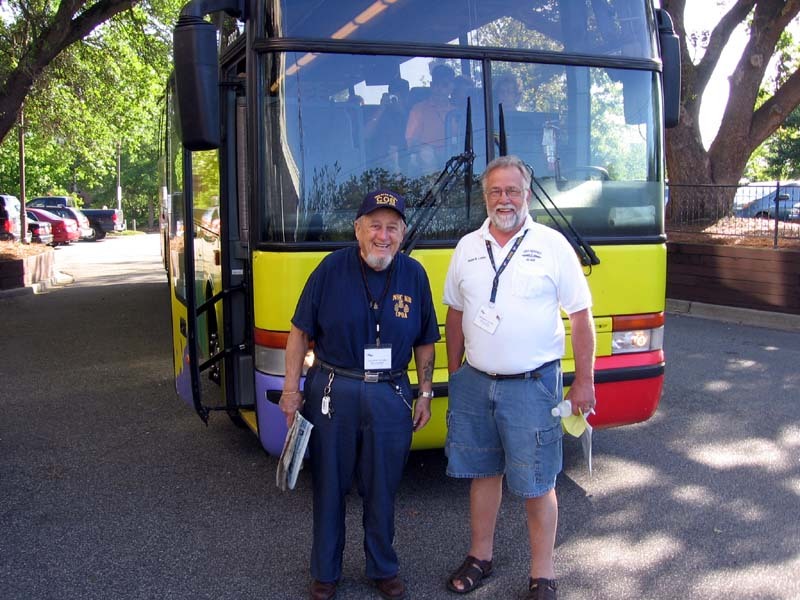 Reunion 2007 - At the Submarine Cold War Memorial (Vernon) (sr07v949).